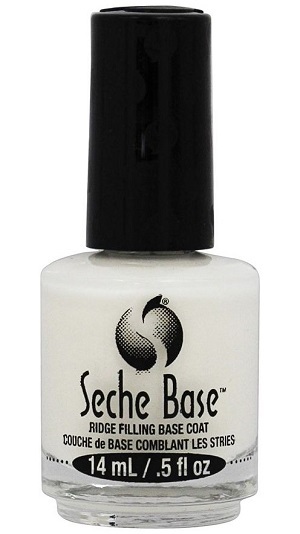 Seche Base Ridge Filling Base Coat .50 fl. oz. 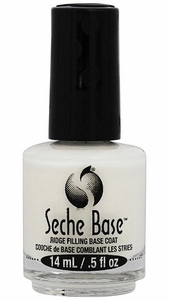 Seche Base Ridge Filling Base Coat, .50 fl. oz. Contains finely ground quartz crystals that work very effectively to not only fill ridges in the nail plate, but to also help disguise nail imperfections. With a strong bonding ability to hold onto nail polish, it provides long lasting manicures.